Crown lengthening is a simple surgical, dental procedure that we do to expose more of the natural tooth structure. This procedure is necessary when Dr. Travis Coulter needs to reach a portion of the tooth that is covered by gum tissue, whether there is a fracture on that portion, decay to the tooth or hiding under the excess tissue, or if more tooth is needed to secure a dental crown. Before making any incision, our staff at Coulter Family Dentistry will review and consult with the patient, detailing all possible options. Crown lengthening is quick, easy, and with local anesthesia, painless. When would I need Crown Lengthening? • Fracture:A tooth that has been jarred or suffered an impact can result in a fracture in the portion of the tooth that is under the gum tissue. This can cause the patient pain, and the tooths strength to be compromised. By removing some of the gum tissue, Dr. Travis Coulter can make contact with the damaged portion and restore the health and strength of the tooth. • Decay on Tooth:When plaque is left in place on a tooth, it can dry and harden to a material that is known as tartar or calculus. This material often dips into the gumline, irritating the gums and causing decay to the enamel of the tooth in a portion that the patient can not reach. To stop the progress of the decay, we need access. Dr. Travis Coulter can remove some gum tissue and restore the health of the tooth. • Decay Under Excess Tissue:Often referred to as a gummy smile, Dr. Travis Coulter can remove tissue that excessively hangs over the teeth. Patients often dislike the visual look of a gummy smile, and we know that there are health problems that are associated with it too. A gummy smile provides places for bacteria, such as plaque or food debris, to hide. Bacteria allows for decay to grow. Removing this tissue can improve your oral health. • Dental Crown:At times, the patient may not have sufficient tooth structure to adhere a dental crown to. 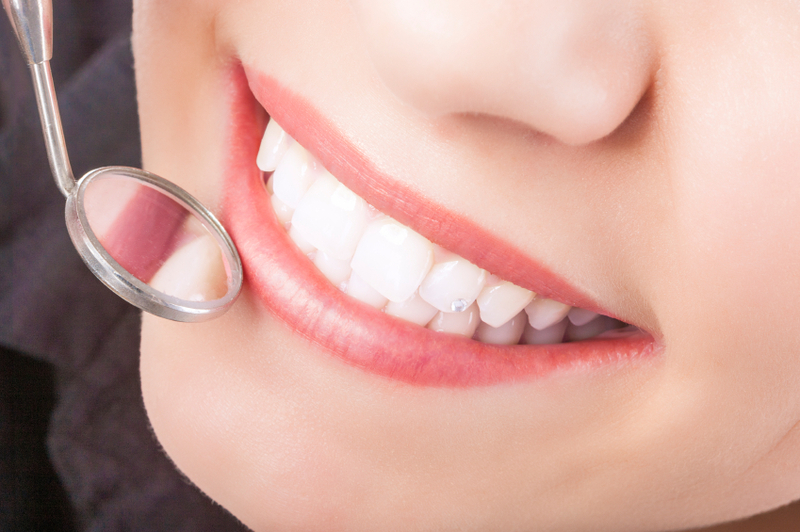 To gain more tooth structure, we can remove tissue and expose more of the tooth. Once Dr. Travis Coulter and the patient have determined that crown lengthening be the best course of action, Dr. Travis Coulter will first make sure that the patient is comfortable with the application of a local anesthetic. Crown lengthening involves making a series of small cuts, both around the tooth in question, and the gradual removal of tissue from neighboring teeth to make the appearance more natural. After the tissue has been cut Dr. Travis Coulter may need to place sutures, or stitches, to help with proper healing. The area is then cleaned, and the patient has advised the signs, and how to avoid, infection. The tissue should heal within a few days.